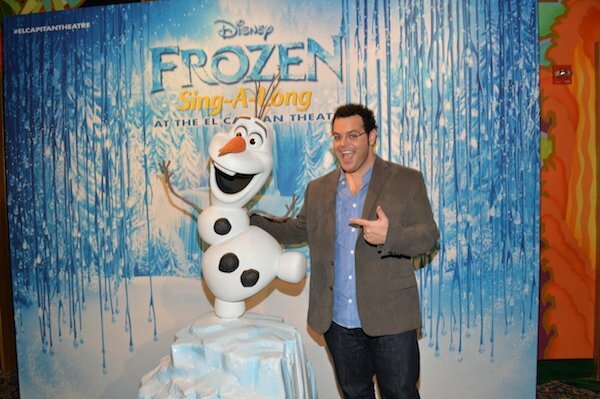 Fandango recently surveyed more than a thousand Frozen Sing-A-Long ticket-buyers and found that 40% of them picked Olaf the snowman as their favorite character in the movie. 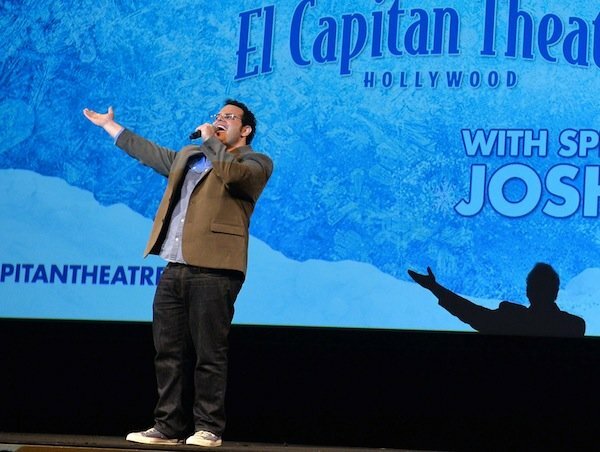 If the people who attended the Sing-A-Long at the El Capitan theater in Hollywood this Sunday were in agreement with that assessment, it's likely that they were extremely pleased by the surprise appearance of Josh Gad at the event. 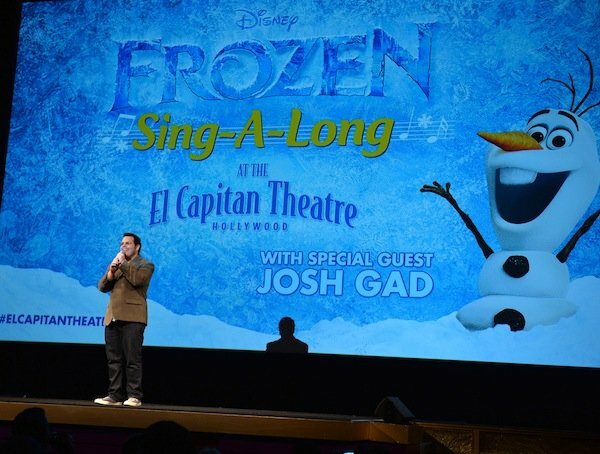 Voice of the adorable snowman, Gad took the stage to thank the fans for knowing the words to the songs and encouraged them to sing especially loud during his song, "In Summer." Our own Kristy Puchko attended a different screening of the Frozen Sing-A-Long event and published this GIF Review during which she admits to being a "teary mess" by the end of Elsa's "Let it Go." Given that I found myself reaching for the tissues just watching the above video, I'm fairly certain I wouldn't have been able to get through the sing-a-long with dry eyes. Especially hearing the little kids singing along so enthusiastically. Too adorable and completely too much for those of us who get inexplicably weepy over powerful, emotional musical numbers in movies. I'm no football expert, but that's a field goal right? Between the Sing-A-Long, the Oscar buzz for the film and Best Original Song, and the approaching digital release of the movie, the momentum for the film should carry fans' interest right to the March-set Blu-ray launch.